After the Nail Art, Glitter Tattoo and Hairlights kits from FabLab were such big hits, I was more than happy to review more from the range. 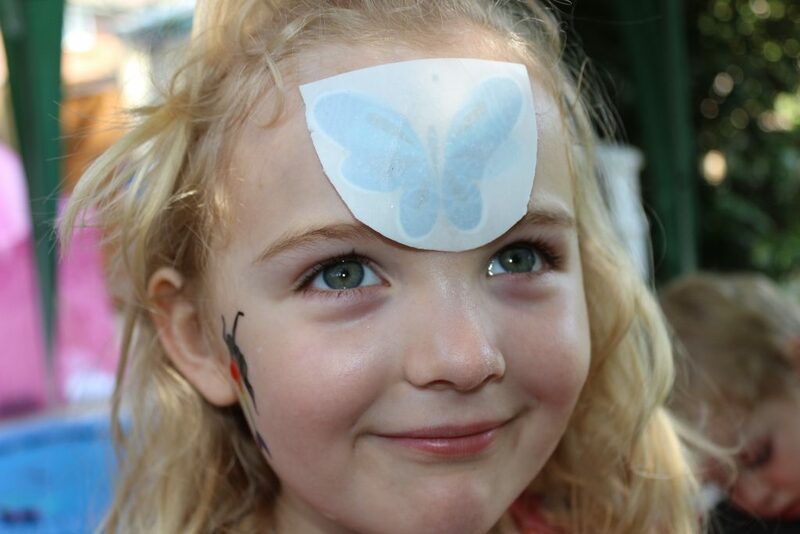 This time we were sent the FabLab Festival Face Tattoos. 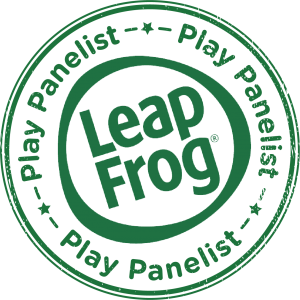 The FabLab kits from Interplay are targeted at children aged 8+ but contain child safe products so I felt we would be able to put them to the test with a lot of supervision on my part! 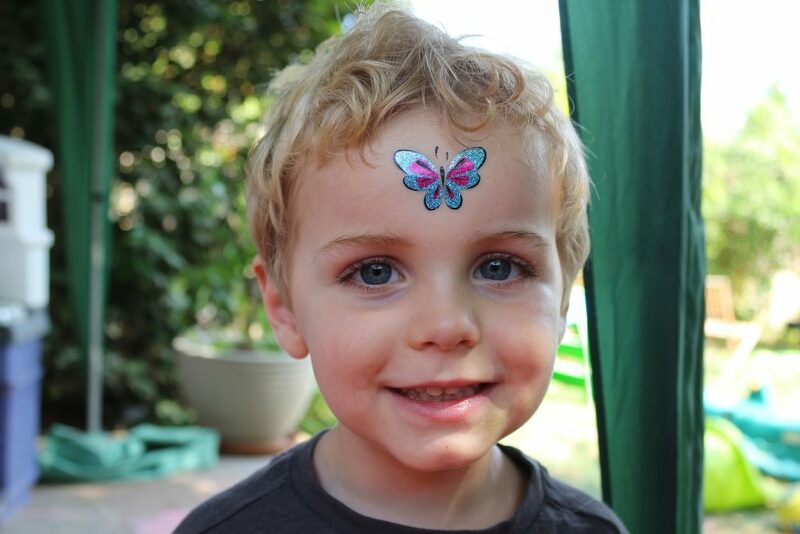 The Fablab Festival Face Tattoos kit contains five sheets of face tattoos, two sheets of glitter tattoos, scissors and a sponge as well as baby oil which you use to remove the tattoo easily without too much scrubbing. 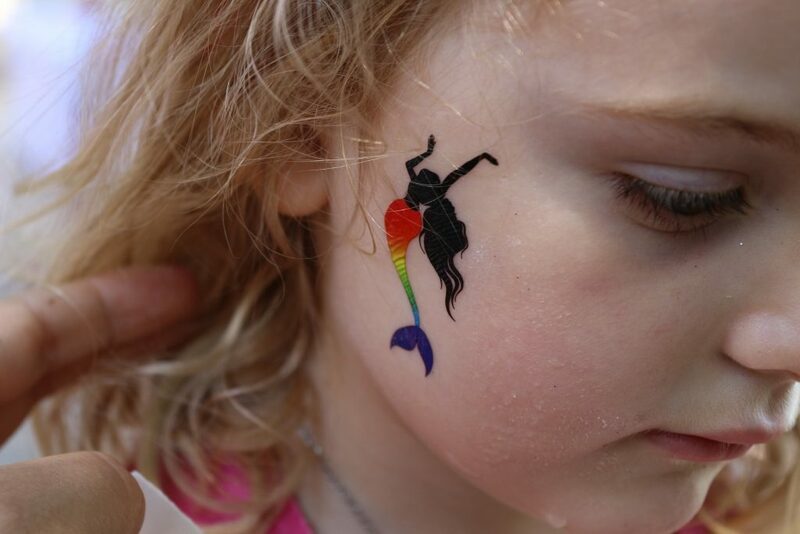 The Festival Face Tattoos are super easy to apply! Firstly, cut out the tattoo. Now to be honest, I would use a different pair of scissors as the ones you get in the box are childen’s safety paper scissors rather than ones that can cut through the plastic backing. 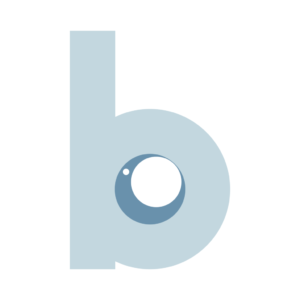 Once you have cut out the tattoo you want to use, remove the clear plastic backing and then place it against the skin where you want to apply it. 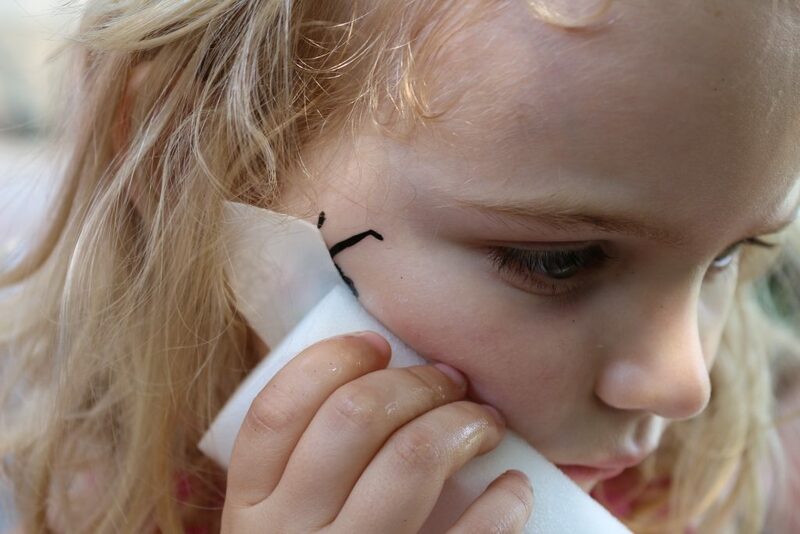 With a damp sponge, press down until the paper can be slid off gently without removing the tattoo. You may want to sponge the corners down to seal it in place. And that’s it! It will stay in place until it’s removed which can be done with a little bit of the remover and a light scrubbing. Tie Dye is officially back, and what better way to pass a summer holiday day than getting some old clothes and doing a 1970s makeover? NB The garments aren’t included. 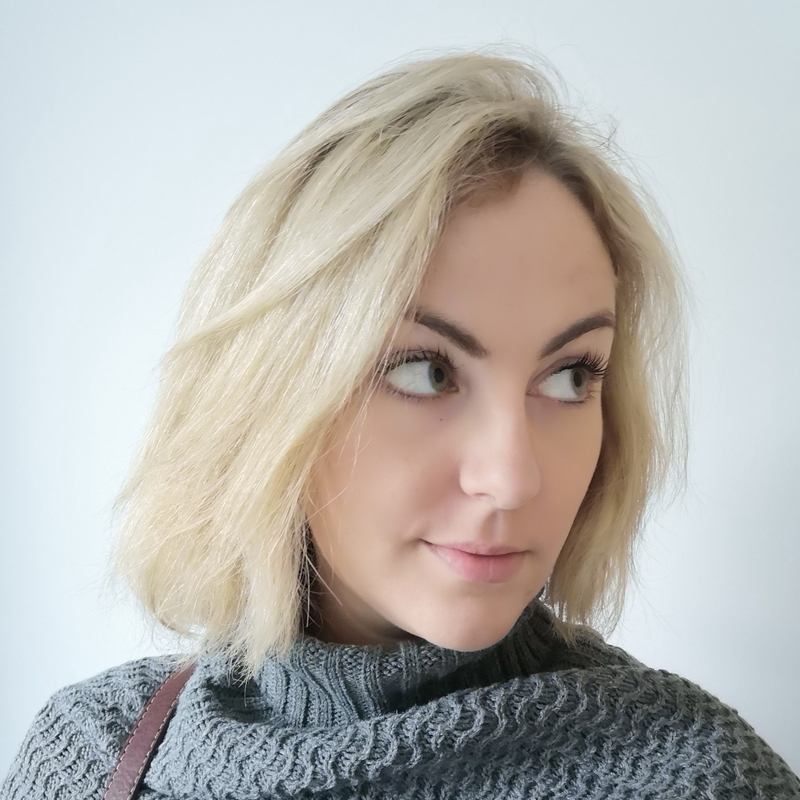 If you don’t happen to have old, white or light coloured clothes at hand then you can buy them cheaply at Amazon which is what we did. What’s in the designer Tie Dye kit? 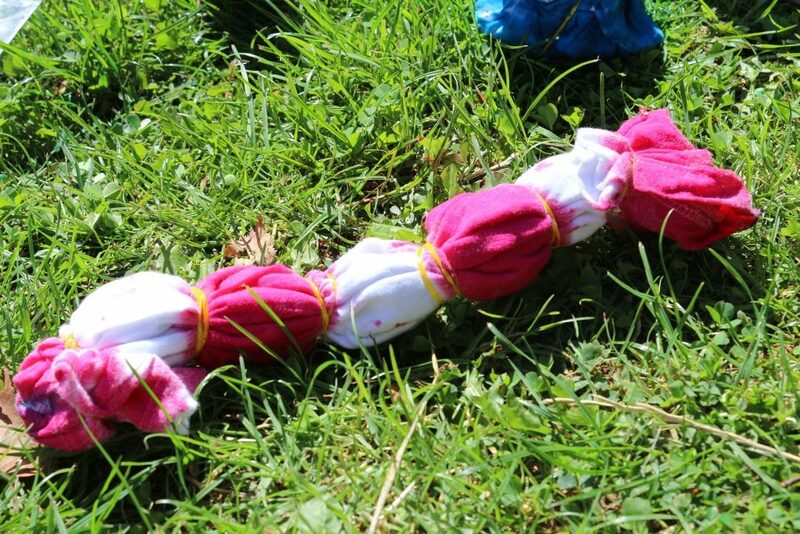 You get four bottles of dye (fuchsia, turquoise, yellow and purple) which is enough to colour at least five garments according to the packet, 30 elastic bands, gloves and a manual with step by step instructions on how to tie dye. Because of the chemicals involved this is definitely one for adult supervision even if your children are old enough to follow instructions. 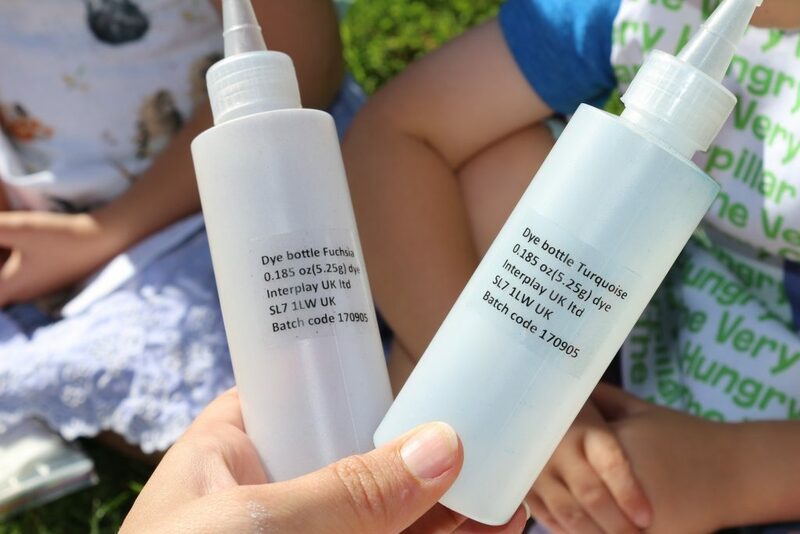 Fill the bottles of dye up with water, tie your garments and squirt the colour carefully onto the garment where you want it. I’d suggest doing this outside and definitely use the gloves! 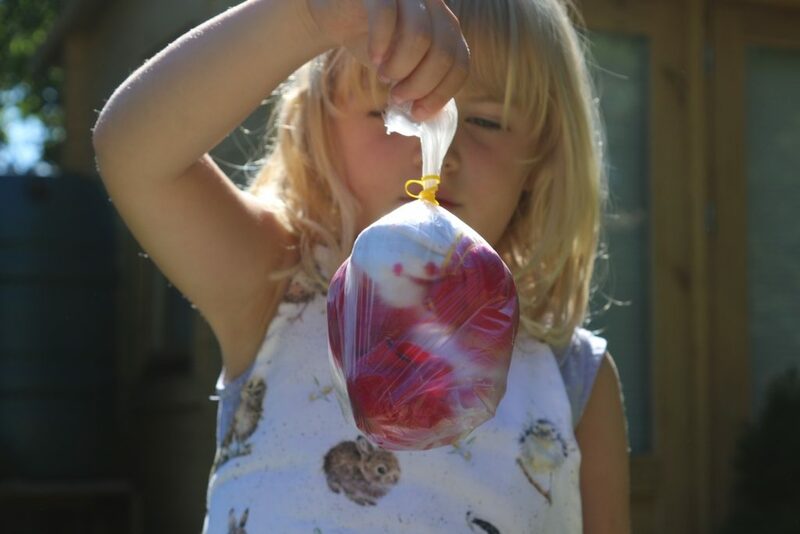 Place inside a plastic bag for 4-8 hours for the dye to set. Remove the elastic bands and rinse, then place each one on its own in the washing machine on a short cycle with no detergent. 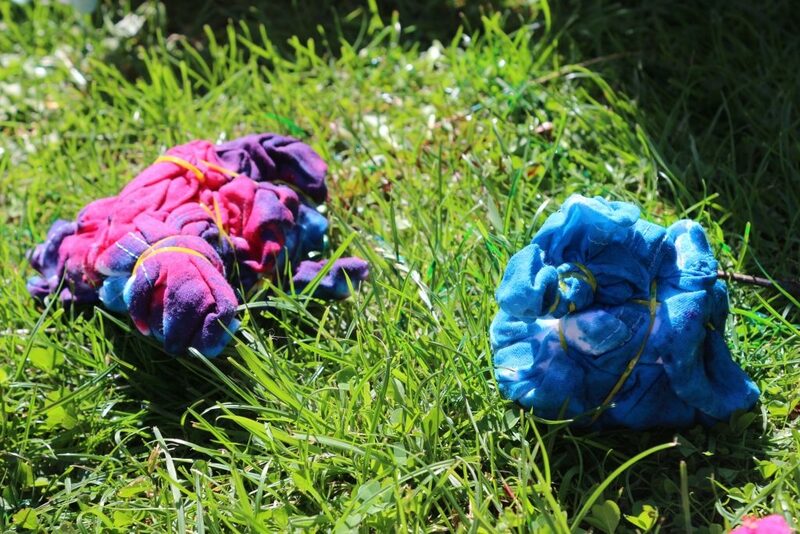 Leave them to dry and you’ll have your tie dye t-shirt! 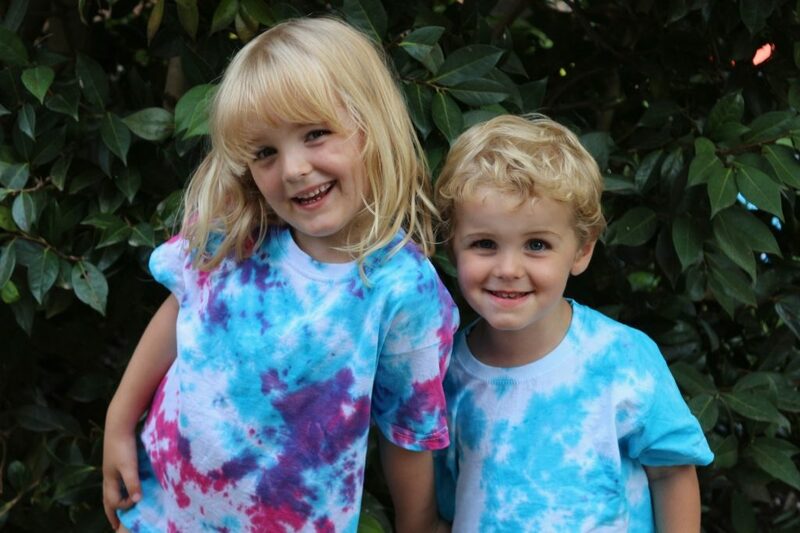 Here are some of our Tie Dye creations! 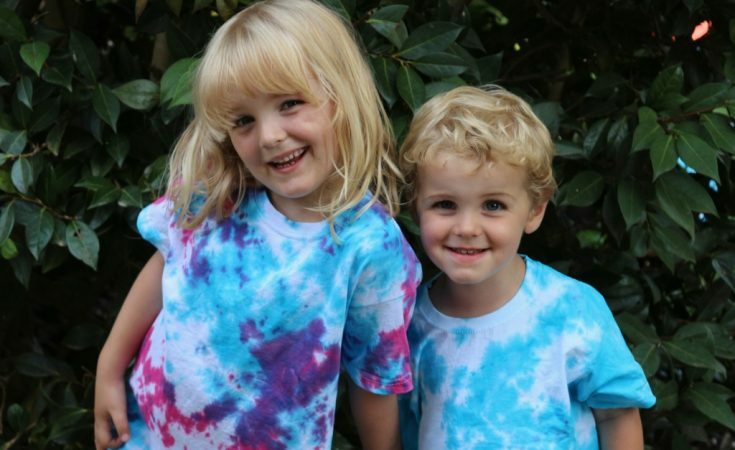 We only opened two of the dyes and made three child-sized t-shirts. 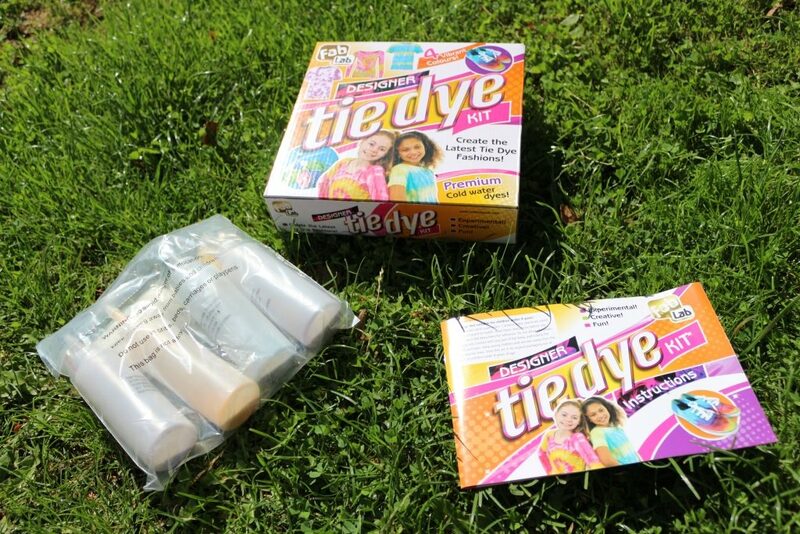 Those dyes are about half full so if your children are young you could easily get 10 t-shirts out of a kit, if not more. 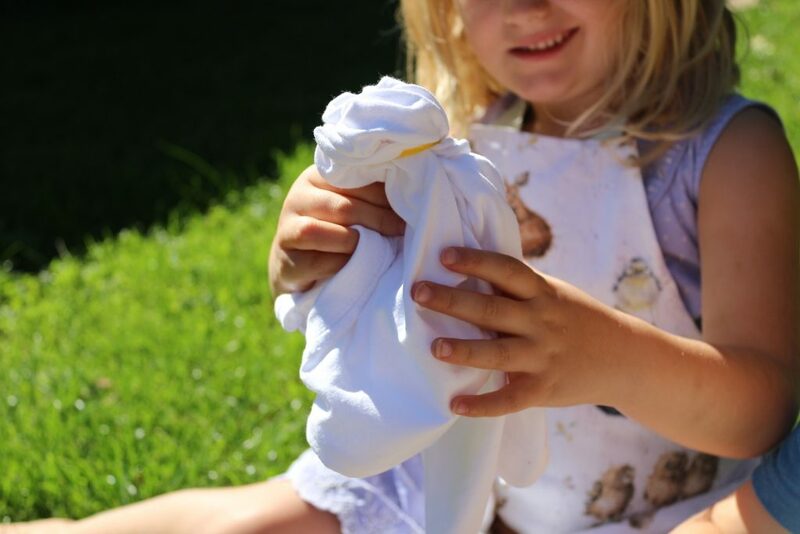 It’s a great summer holiday activity and the kids are really happy with their home-dyed shirts. With an RRP of £9.99 for the Tie Dye kit and £12.99 for the tattoos, the FabLab kits can be used again and again. 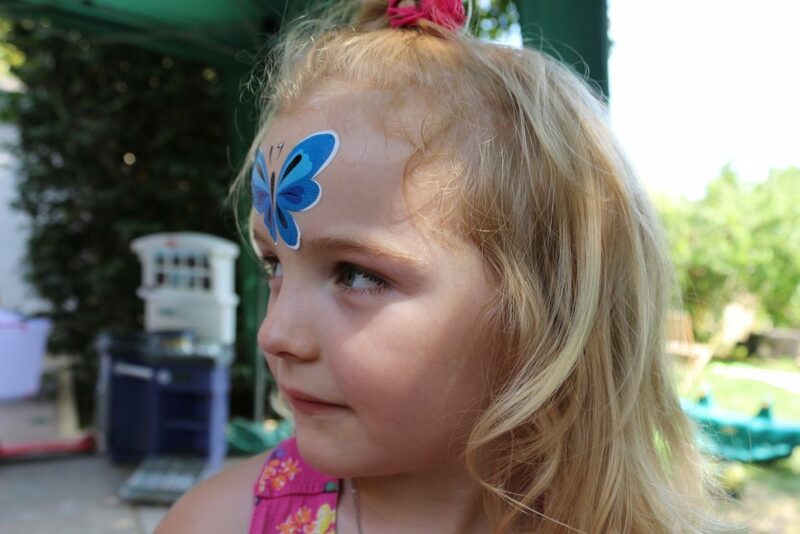 Win a Festival Face Tattoo and Tie-Dye kit! 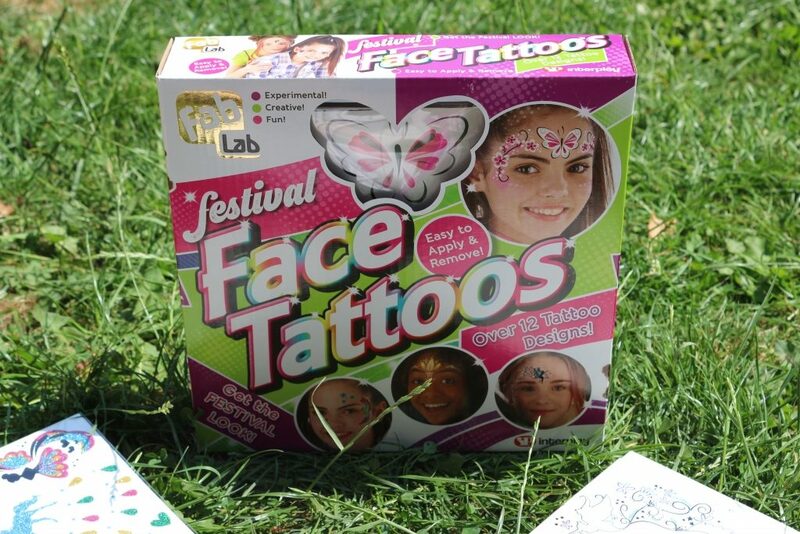 If you’d like to win a pair of Fablab kits to create your own festival face tattoos or tie dye t-shirts then enter our competition below!